In these days of modern technology and virtual reality, Realtors are often asked if Open Houses are still a valuable marketing tool for sellers. The answer is....YES! "Our Realtors develop a comprehensive marketing plan for their clients and open houses are one of the pieces of the overall marketing strategy that help to increase exposure for their listings," according to Brian Arrington, CEO, Pacific Sotheby's International Realty. Open houses bring traffic to the home with the general premise that more traffic leads to better exposure, which in turn leads to a quicker sale. By removing one of the marketing strategies, you can still sell the house, but may be limiting your buyer pool. On May 6thand 7th, 2017 Pacific Sotheby's International Realty held their bi-annual Open House Showcase. 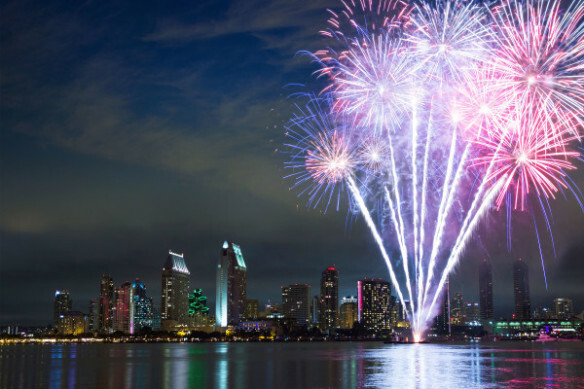 Over 170 properties, from Coronado to Carlsbad, La Jolla to La Mesa andjust about every neighborhood in between and all around participated in the weekend event. The Showcase was heavily promoted through print and online advertising as well as social media, which served to further increase awareness and drive a high volume of traffic to the open listings. "In the past, open houses were a way for buyers to explore neighborhoods and have questions answered about the community and schools," adds Arrington. "Now with the information that is available online, buyers are coming ready to see specific homes, many are already pre-qualified by their lender and ready to make that offer." Pacific Sotheby's International Realty's Open House Showcase proved to be a great success for several agents over the weekend. Many of those who participated said that they developed a substantial number of new clients and several offers were submitted. One of those offers was made between the clients of Pacific Sotheby's Realty agents, Kathleen Connor and Barbara Maquire, representing the seller and Katie Hawkes, representing the buyer, all Realtors with the Rancho Santa Fe office. According to Connor "Katie's clients were driving around and getting familiar with the neighborhood and stopped to tour our open house. Katie joined and after a warm visit with them, we received an offer and were under contract within three hours of the open house ending on Sunday. We also received a firm backup offer from the Open House. Our sellers are thrilled at the traffic and energy created by the Open House Showcase for their property." While the next Open House Showcase will take place in the Fall of 2017, Pacific Sotheby's International Realty agents understand the importance of holding their listings open as often as possible. Each Friday the company publishes an Open House Magazine with a directory for the weekends open houses.The Open House Magazine can be found by visiting www.facebook.com/PacificSIR/or the Pacific Sotheby's Realty Extraordinary Living Blog at www.pacificsothebysrealty.com.